Acording to a Wednesday statement released by his office, John McCain who is the current serving senator from Arizona in the US has been diagnosed with brain tumor. The tumor was discovered after the Republican senator underwent a procedure last week to remove a blood clot. 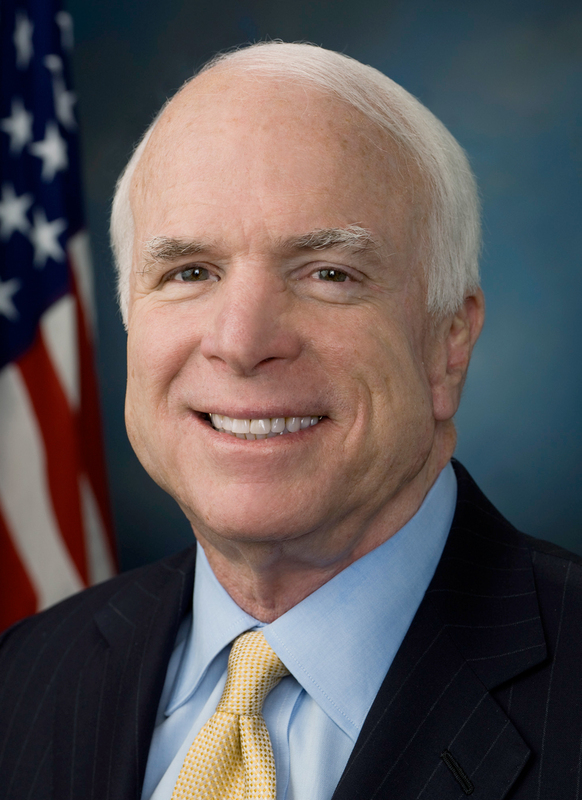 "On Friday, July 14, Sen. John McCain underwent a procedure to remove a blood clot from above his left eye at Mayo Clinic Hospital in Phoenix. Subsequent tissue pathology revealed that a primary brain tumor known as a glioblastoma was associated with the blood clot. "Scanning done since the procedure (a minimally invasive craniotomy with an eyebrow incision) shows that the tissue of concern was completely resected by imaging criteria. "The Senator and his family are reviewing further treatment options with his Mayo Clinic care team. Treatment options may include a combination of chemotherapy and radiation. "The Senator's doctors say he is recovering from his surgery 'amazingly well' and his underlying health is excellent." President Donald Trump released a message soon after the news of the senator's condition broke. "Senator John McCain has always been a fighter," he said. "Melania and I send our thoughts and prayers to Senator McCain, Cindy, and their entire family. Get well soon." John McCain, who contested in the 2008 presidential election was first elected to the U.S. Senate in 1986. He is known for his work in the 1990s to restore diplomatic relations with Vietnam, and for his belief that the Iraq War should have been fought to a successful conclusion.